Recurring-revenue business models, also known as subscription or usage-based models, are creating new opportunities across most industries. Companies are turning to recurring-revenue business models for several reasons. For some, transitioning to recurring revenue is a natural change as the economy shifts to a service economy, and these revenue streams present a path into new markets. For others, the competitive landscape is driving their business model change. There are also several clear advantages to adopting a recurring-revenue model, which produces a revenue stream that is smoother and easier to model, e.g., increasing forecast accuracy. Recurring-revenue models also lower the long-term costs of sales, because customer relationships are no longer one-time sales transactions. 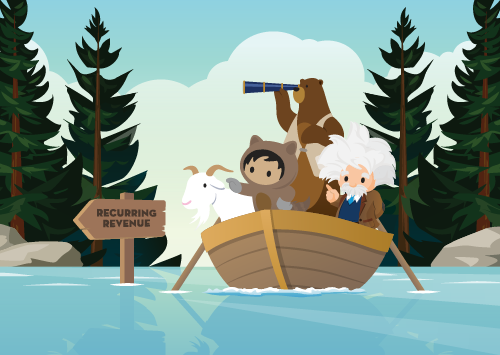 A recent online survey of senior finance executives by CFO Research and Salesforce shows that recurring-revenue models are well-established and growing. And the business case for the recurring-revenue model is strong: It focuses on the customer relationship, aligning the success of the customer with that of the business, which opens new growth opportunities. The survey found that more than half of surveyed finance executives report that at least 40% of their current revenues are recurring, and even more of them expect to reach the 40% level in five years. Trends were remarkably consistent across industries—including non-traditional industries such as manufacturing. For more survey findings on growth trends, download The Growth of Recurring Revenue Business Models. Companies must deal with many operational challenges as they adapt to recurring-revenue models, accommodating a series of different types of transactions with the subscription customer and cultivating a new type of customer relationship. 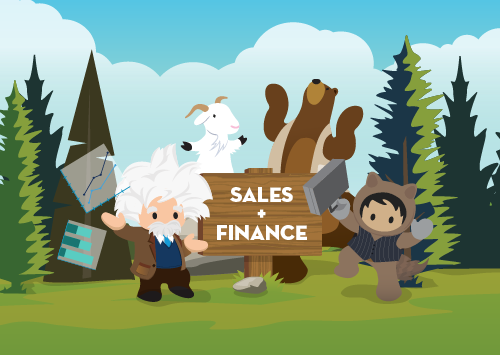 The CFO Research/Salesforce survey reveals some of the issues that can lead to those challenges. Nearly two-thirds of the senior finance executives surveyed say they face operational challenges with renewing customer contracts. Renewals can require the same level of attention as new sales—sometimes even more attention—many companies sales efforts can be overly concentrated on landing new business. The survey also found that, of the companies launching recurring-revenue businesses, nearly two-thirds face operational challenges in doing so. 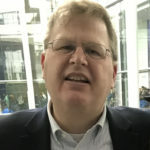 These companies may not be set up to manage and leverage the data produced under a recurring-revenue model, and they may not be focused on the correct business metrics that the new business model demands. 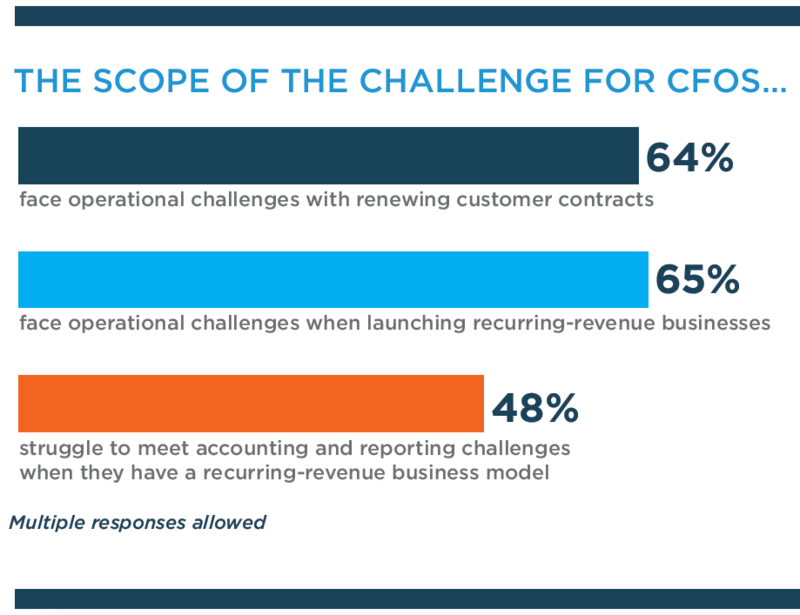 Nearly half of companies with a recurring-revenue business model struggle to meet accounting and reporting challenges created by the dynamic relationship. As a result, more than two-thirds of the survey respondents say they are actively exploring implementation of new systems and processes across sales and finance to better support recurring-revenue business models. For more detailed survey findings, download The Challenges Finance Faces in Managing Recurring Revenue. The survey also found that substantial opportunities exist for better coordination between sales and finance. A majority of the surveyed finance executives believe that solving their “quote-to-cash” pain points would decrease finance and sales costs by at least 5 percent. A similar majority also believe that it would increase enterprise revenue by at least 5 percent. More than two-thirds of the surveyed finance executives think that a more efficient pricing and approval process would substantially improve their organizations’ profitability. And nearly two-thirds say that their organizations would benefit from a dedicated pricing and quoting system that supports multi-channel commerce. Unfortunately, many sales and finance teams live in separate CRM and ERP systems that are designed for transactional businesses. Recurring-revenue business models introduce the element of selling over time, which changes how sales and finance leverage their systems and information. Typically, companies that transition to a recurring-revenue model try to make do with their existing systems as they grow, but when annual recurring revenues reach a critical level, the problems with the old systems start becoming insurmountable. To remedy these challenges, finance and sales must look at their current systems to determine the best way to maintain financial controls while also supporting dynamic contracts and maintaining sales speed and agility. As recurring business models require collaboration between multiple departments, it’s important to leverage systems and processes that work seamlessly together. For more detailed survey findings, download CFO Coordination with Sales Is Essential to Delivering Improved Results.